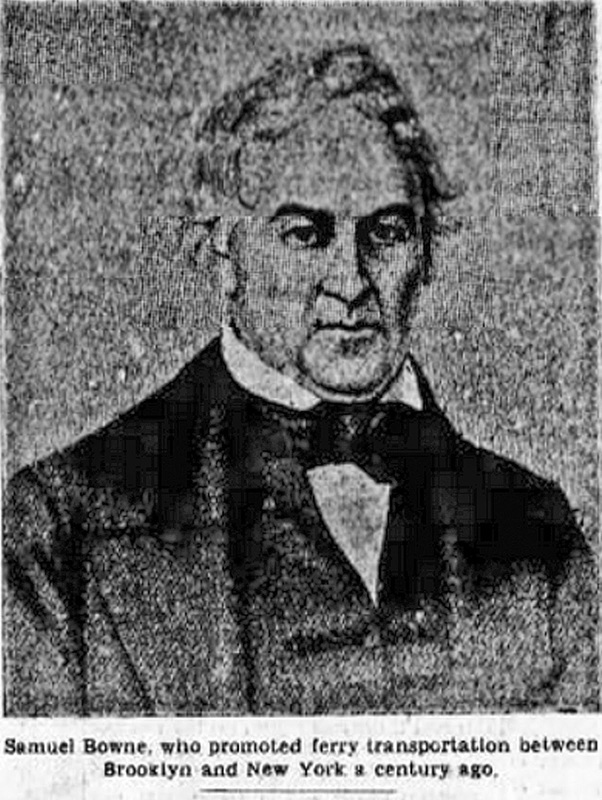 Bowne Street is likely named after Rodman Bowne who owned land in the area in 1834. The Bowne brothers Rodman (1784-1845) and Samuel (1791-1845) made their success in the ferry business. They ran the Catherine Street Ferry that landed at the foot of Main Street in Brooklyn. Rodman Bowne, together with John Garrison Murphy, invented and patented a system of powering ferry boats with horses. The "horse boats" or "team-boats" had a team of horses on board, powering paddles that propelled the ferry. 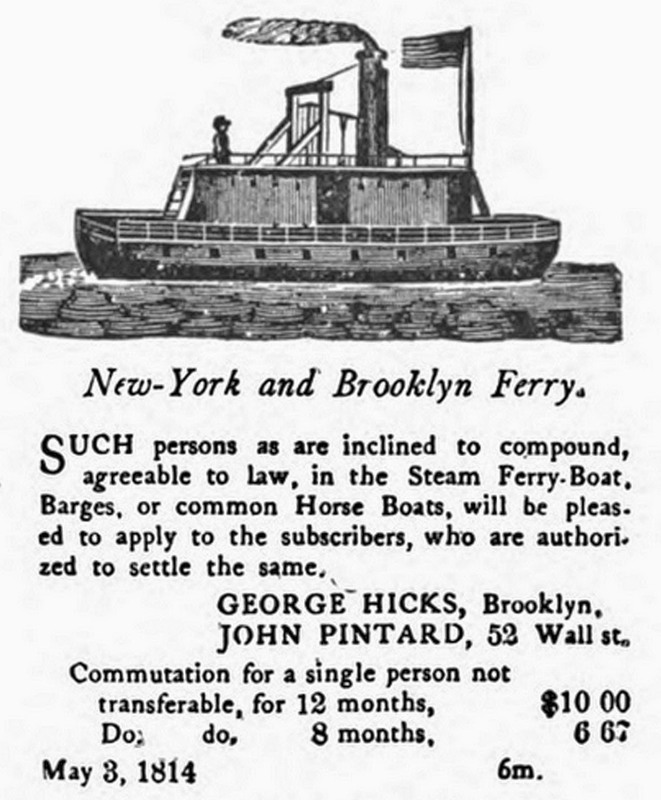 In 1822, Bowne retired the horses powering the Catherine Street Ferry, and replaced them with steamboats; 15 years after Robert Fulton first introduced a viable one. Samual Winter Bowne's obituary(Feb 23, 1831--June 7, 1897)says that the street was named after him. S. W. Browne ran a series of storehouses along the Gowanus, which as of 2018 are in poor condition but still standing. However, Bowne street was in existence by at least 1846, when S.W. Bowne was only 15 years old. Who streets are named after is not well documented. When a street shares its name with a person who owned property or was a noted player in the area, then a safe assumption, but not a definitive one, can be made. Other times the association is more speculative, but the research may prove to be revealing. Dikeman, J. The Brooklyn Compendium, Brooklyn (New York, N.Y.). Common Council. 1870. Sherman, Herman. 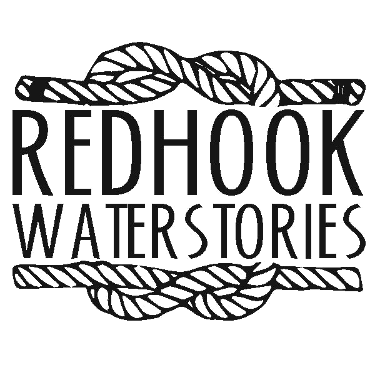 "Red Hook Place-Names." Graduate Thesis, Brooklyn College, 1965. Print.